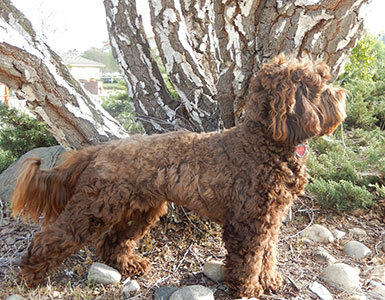 Loveable Labradoodles Lonzo's Hidden Treasure "Lonzo"
Lonzo brings a calm mind and compliant temperament. 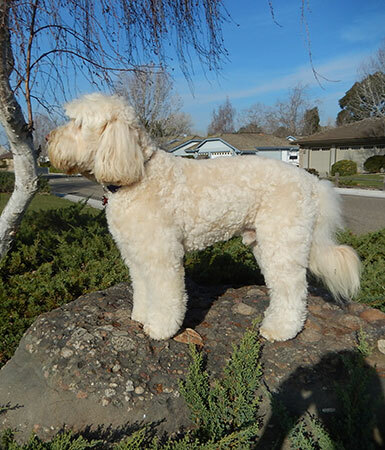 He has a soft and velvety cream colored coat that is designed for cuddling. 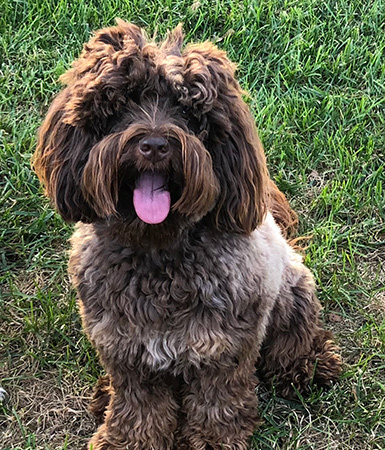 He is a proven, health-tested, Multi-Gen Australian Labradoodle with classic conformation that is the standard for the breed. You will fall in love with his sweet face and deep, dark eyes. 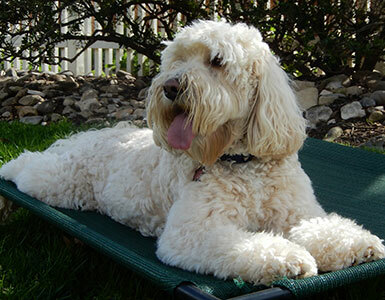 We are so excited to have him featured as our premiere stud at Sweet Home Labradoodles. Lonzo is outstanding and truly the "Total Package"! Stud Service Available to Qualified Breeding Programs. Please Inquire About Stud Service Agreement. 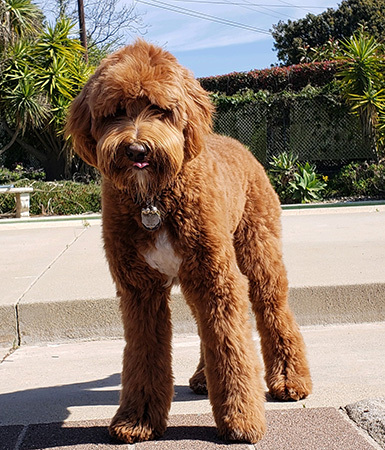 This handsome stud joins us from Loveable Labradoodles. 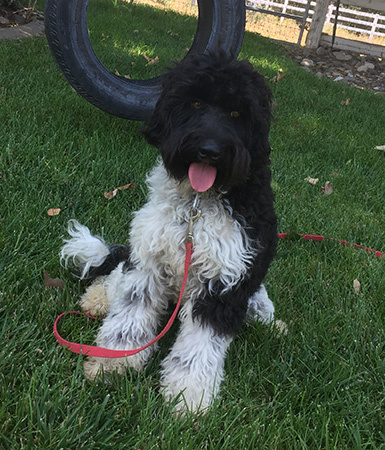 Chet is an eye catching jet black and white parti multi-gen Australian Labradoodle. His stunning looks and sparkling personality grab everyone's attention. He is sweet, loyal, affectionate and his offspring are no exception! I've been thrilled with every puppy he has sired. 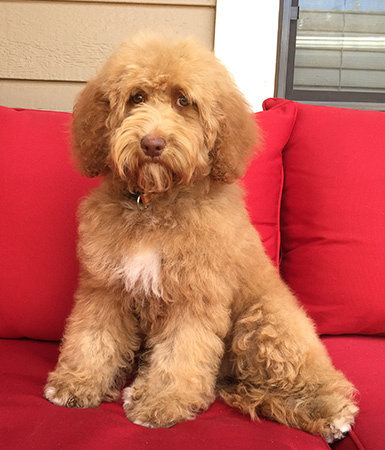 He passes on gorgeous colors, soft coats, balanced temperaments, and easily trainable puppies. We value having him as our premiere stud. Chet is available for outside stud service to approved breeding programs. He carries for all colors and can produce phantom as well. JacknDoodle Growing up Daisy "Daisy"
Daisy is compact, square in structure and as cute as can be. She has a beautiful deep caramel coat that so many people desire, along with caring light brown eyes. 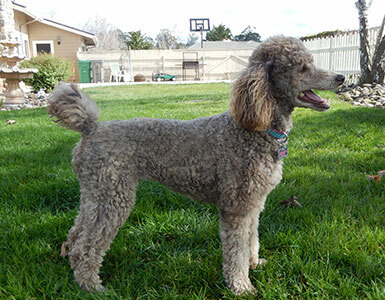 She is full of joy, sweet temperament, loves affection, and family friendly. 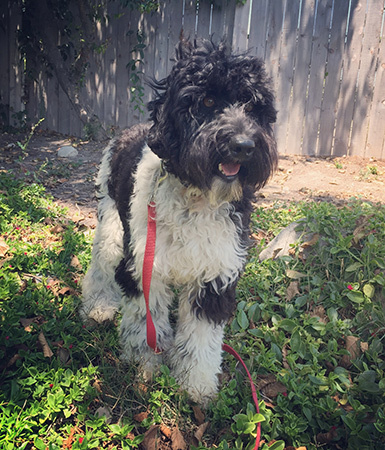 Daisy has proven to be a wonderful momma and fantastic at preparing her puppies for successful integration into your family. Her intuitive, kind, sweet temperament has been passed on to all her puppies. 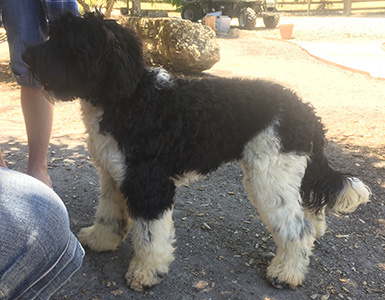 Daisy lives close by with a wonderful guardian family with children. We are fortunate to enjoy regular visits from Daisy. 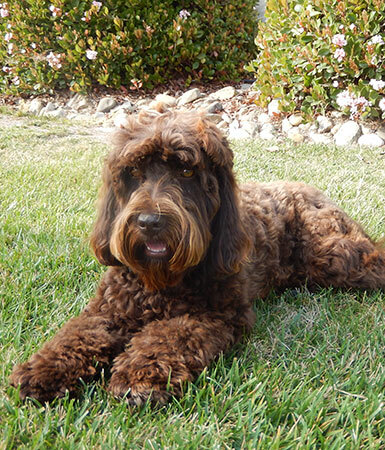 Sweet Home Labradoodles Joyful Heart "Phoebe"
Phoebe is a mini multi-gen Australian Labradoodle. 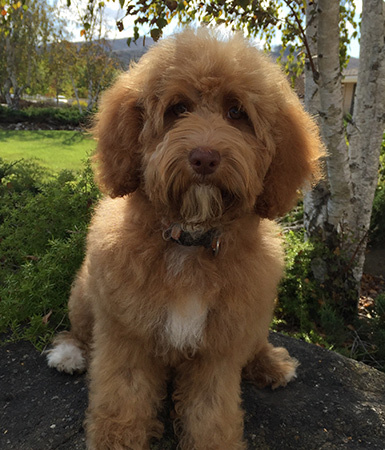 She is perfectly formed with a compact, square conformation ideal in the Australian Labradoodle breed. She is the daughter of Kisses, who is now retired and lives with us as our special forever dog. She has a chocolate phantom wavy fleece coat. She is spunky, fun, family friendly, and the resident toy hoarder. She is the perfect combination of sweet and sassy! 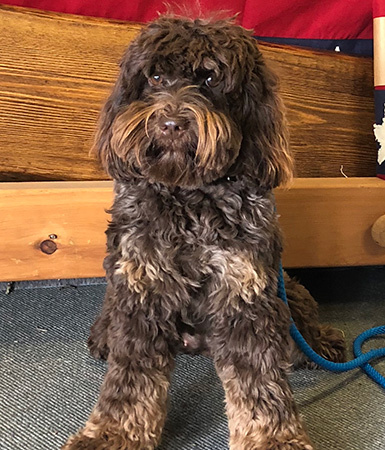 We are excited to welcome her first litter in 2019 as we are sure she will pass on her charm, beauty, and excellent conformation to her pups. 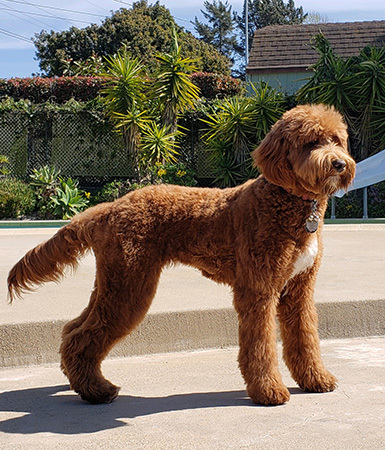 Sweet Home Labradoodles Lucy "Bo"
Up and Coming........Looking forward to expanding with larger medium size labradoodles coming in 2020! Reggie is our next future breeding prospect. I'm looking forward to expanding my breeding program with a larger medium size female. 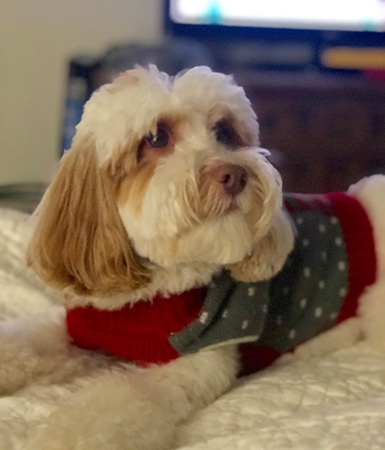 She has a rich apricot loose wavy coat and a black button nose. 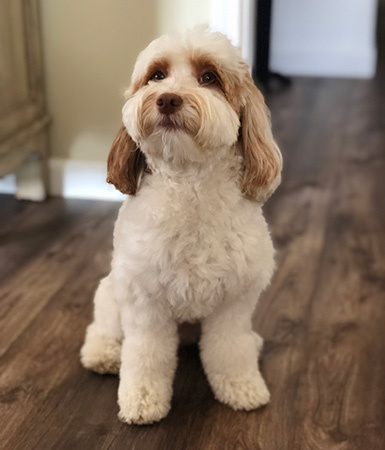 Her intelligence, gentle nature, and balanced temperament has allowed her to be successful with early puppy manners and obedience training. Reggie is playful, athletic, family oriented, and all around amazing girl! 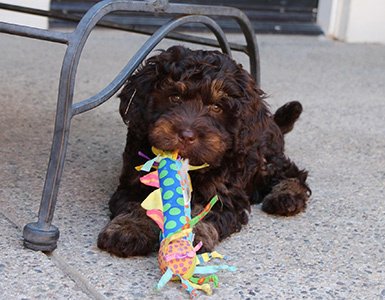 Chocolate Kisses is our mini Australian Multi-Gen Labradoodle female. 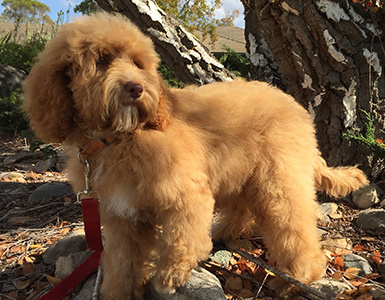 She is perfectly formed with a square, straight frame, ideal in the Australian Labradoodle breed. It is hard to keep your hands from touching her dark chocolate, silky soft, wavy fleece coat. 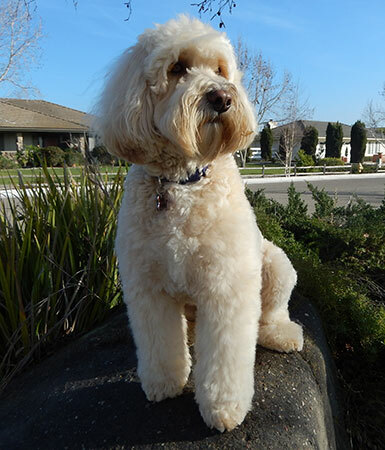 She is intuitive and human focused, which enabled her to be successful with dog training and manners. 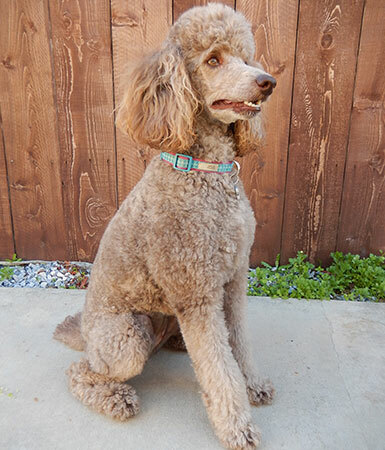 Precious Penny is a gorgeous, medium-sized poodle that joins us at Sweet Home Labradoodles. We are blessed to include her as part of our family breeding program. 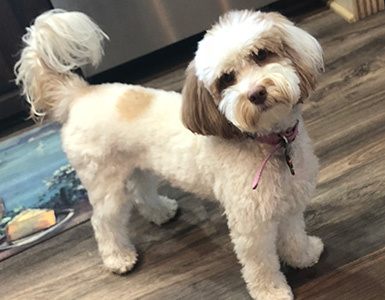 She is a proven, heath-tested, Café Au Lait, Moyen Poodle. She weighs 26 lbs. 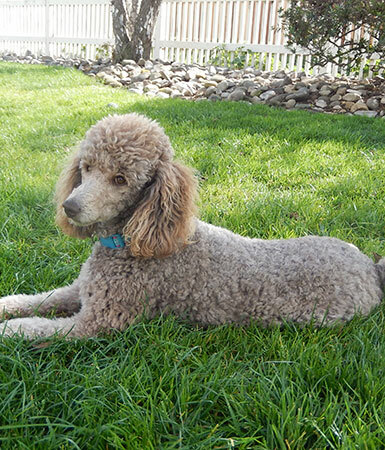 and is 19 inches tall, and has a soft, curly coat. 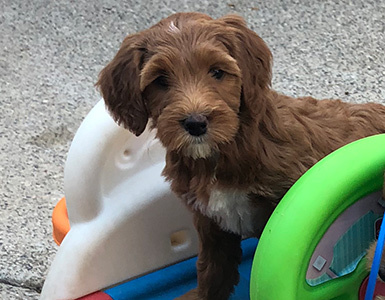 She has proven to be a wonderful mommy and fantastic at preparing her Labradoodle puppies for successful integration into your family life. 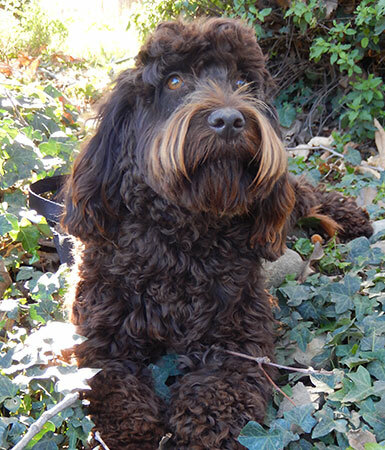 Her intuitive, kind, sweet temperament has been passed on to all her pups. Penny is playful, athletic, family-oriented, and an all-around amazing girl.